Looking for a sweet gluten free treat? Try these Easy Pecan Almond Cookies. 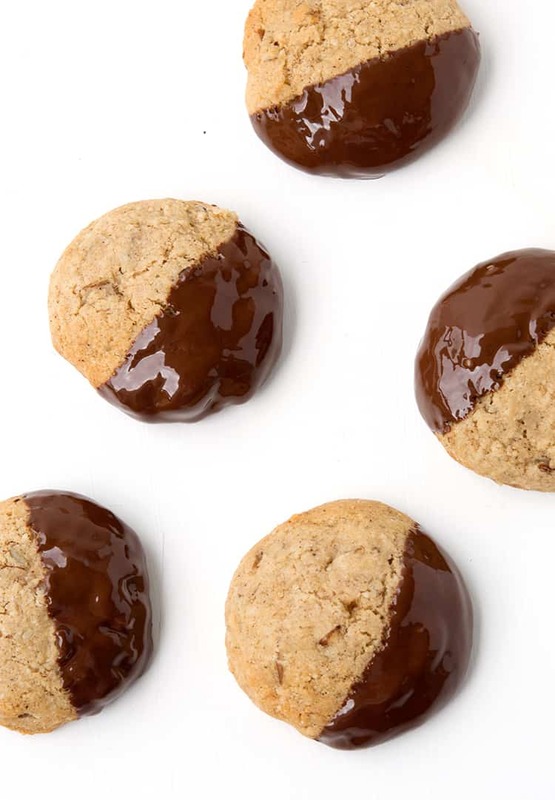 Dipped in dark chocolate, these crunchy gluten free cookies are spiced with cinnamon. These gorgeous cookies tick ALL the boxes! First of all, they’re delish. But they’re also ONE BOWL and there’s no chilling the dough, so they’re perfect for when you need a sweet treat stat. 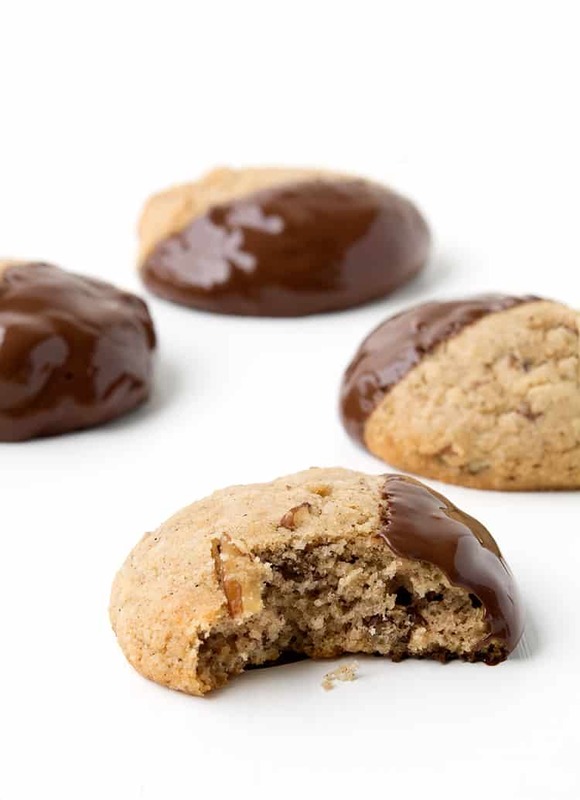 Dipped in dark chocolate, these Gluten Free Almond Pecan Cookies are calling! I recently developed a refined sugar-free cookie for my day job and it challenged me to think outside the box. I mean nothing compares to a Big Fat Chocolate Chip Cookie, but sometimes you just need variety in life, right? So I decided to create a gluten free cookie that didn’t use any unusual ingredients, had less sugar than a regular cookie and was also easy to make. And here she is. My Easy Gluten Free Pecan Almond Cookies. Aren’t they pretty? 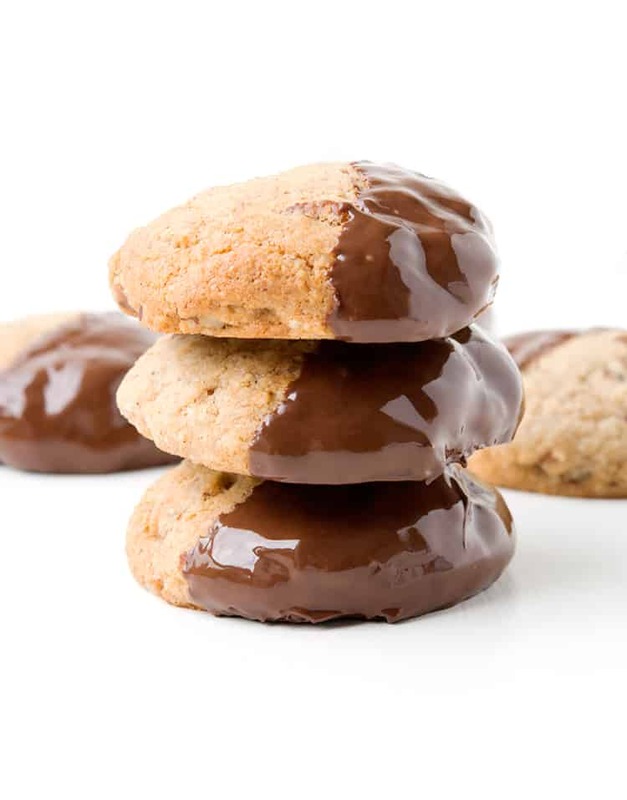 You’d never even know these cookies are gluten free AND light on the sugar. And I also swapped butter for coconut oil. A dash of cinnamon and plenty of pecans makes them taste oh-so-good. 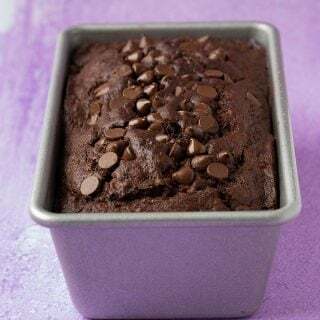 Made with a mix of almond meal and gluten-free flour, they have a lovely texture that’s not too crumbly – which I find can happen if you use 100% almond meal. 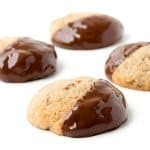 What I love most about these cookies is how easy they are. They’re a simple mix and stir recipe – my fav. 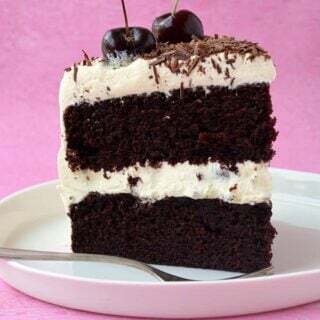 Sometimes those kind of simple recipes make me remember the joy of baking. Measuring, mixing, stirring. It’s very cathartic. And when it results in deliciousness like these 👇🏻 you know you’re onto a good thing. So what’s new friends? I hope 2018 is treating you well. I’m excited because in just two weeks, we’re heading off to Japan! Just for a cheeky week getaway but I’m pumped. It’ll be my first time, so if you have any Tokyo tips, I’d love to hear them! 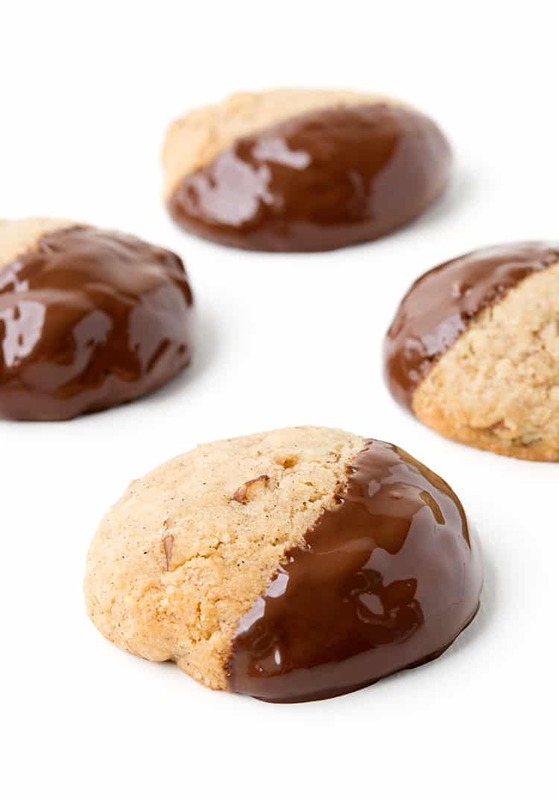 In the meantime, I hope these chocolate dipped pecan cookies satisfy your cooking cravings like they did mine! 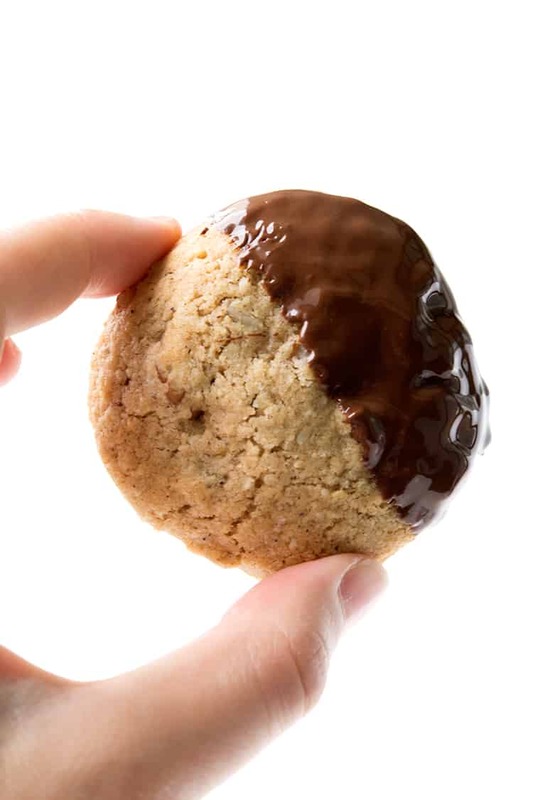 A deliciously easy choc-dipped gluten-free pecan cookie. Preheat oven to 180 C (360 F). Line two cookie trays with baking paper. In a large bowl, add almond meal, flour, sugar, baking soda, cinnamon and pecans and gently mix. Make a well in the middle of the dry ingredients. Add the eggs, coconut oil and milk to the dry ingredients. 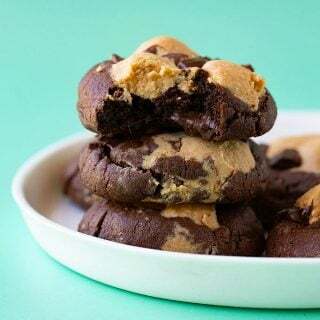 Use an electric mixer, or wooden spoon to combine until a soft cookie dough forms. Gently roll the cookie dough into balls, then gently flatten them using the palm of your hand to form a round disc. Place on cookie tray. Repeat with remaining cookie dough. 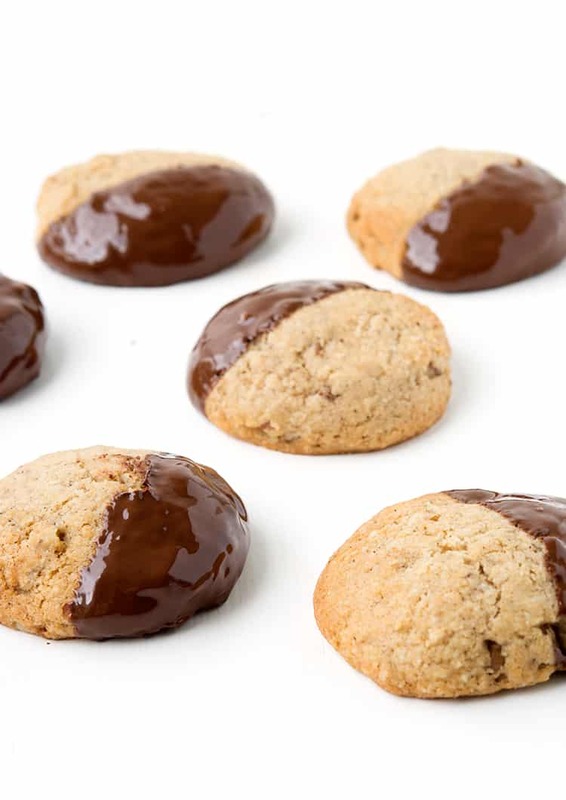 Place cookies in the oven for approximately 10 minutes or until golden brown. Transfer to a wire rack to cool completely. Break chocolate into pieces and place in a heatproof bowl. Heat chocolate in the microwave, stirring every 20 seconds, until just melted. 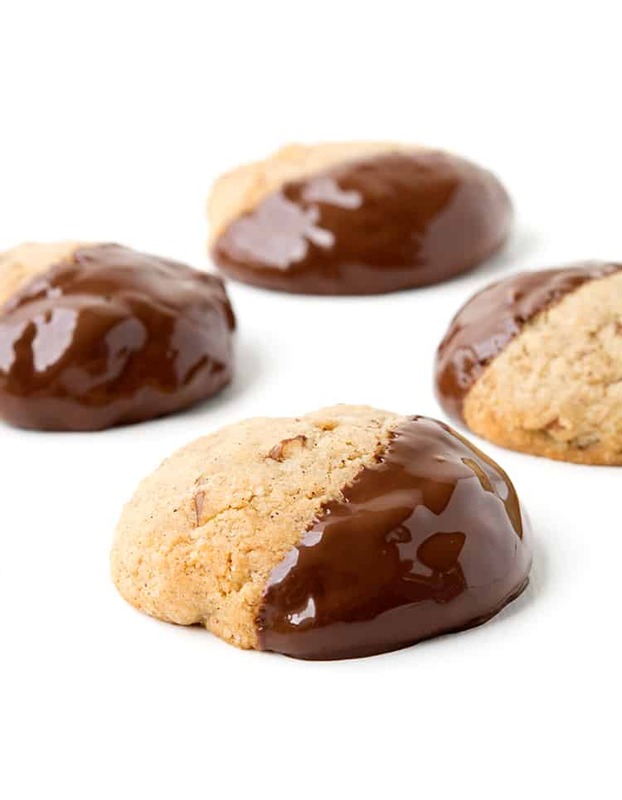 Gently dip each cookie in the chocolate, then return to the wire rack to set. I really liked these, can’t believe there is hardly any sugar. Thanks Josh, I was surprised too! These cookies look amazing! I love that you dipped them in chocolate – makes it even more delicious 🙂 Can’t wait to try it! Thanks Natalie! Hope you enjoy them!